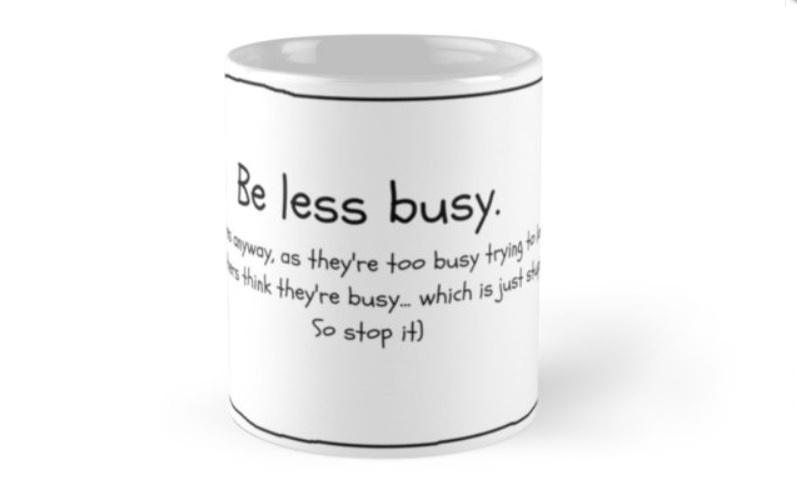 Don’t fall for all this ‘busy’ stuff! It’s just a normal day at work and I’ve been at my desk for a couple of hours and I need to get up and walk around. I stop and think before I head off. Have I been busy? No. If I walk around the office looking relaxed, people will think I’m not busy and may even go as far as to think I’m lazy and unproductive. My job maybe on the line. So I arm myself with a pen and note pad and stride out into the corridor with a sense of purpose and mission. Heaven help me if I dawdle and daydream along the way. So here I am mildly rushing around the office brandishing a pad and pen and I have no idea where I’m going. All I wanted to do was just get up and stretch my legs. However because everyone else is so busy (I assumed they were from their furrowed brows, short sharp sentences and tense walking style) that I needed to look busy too. What the hell have we all created? I’m a writer, an advertising copywriter to be precise, and I spend most of my paid working hours staring blankly off into space waiting for inspiration for the used car yard business I’m working on to land in my lap. 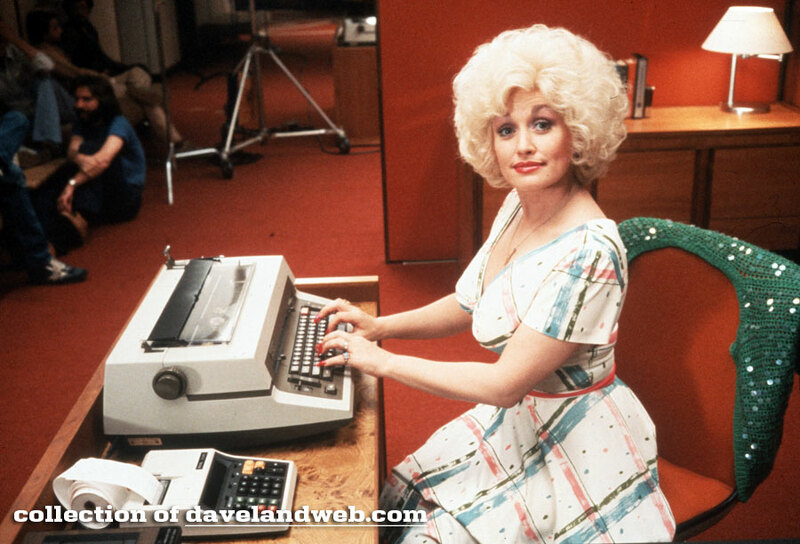 However other people need to see me at my desk typing away like Dolly Parton in the film 9 to 5, to think I’m actually working and being productive. I end up living my work life as a charade, a pantomime in the celebration of the idiocy of busy. From my 20 odd years experience of working and ‘being busy’, I noticed it never actually produced anything of any benefit except for stress, mediocre outcomes and strained work relationships. That’s from my personal experience and from observation by walking around carrying a pen and notepad. What is wrong with working at a steady pace, doing a job well and actually enjoying it in the process? I feel you actually get more effective work done and are happier doing it. However it’s the big perception that you have to be busy to be productive. The negative fallout from being quiet or just working steadily away is a kin to killing a small puppy or swearing in front of your mother – it’s just not done. It’s the double guilt paradigm that starts to occur. It works like this. I’m not busy, my workload is completely manageable and I’m enjoying it. However everyone in other departments is busy and look stressed or I think they are. So I feel guilty and start to pretend to look busy when I walk around or If I’m asked by anyone I say, ‘Yeah I’m so busy’. But what if everyone else is doing the same as me? What if we all are playing the busy charade and we’re all just bullshitting to each other when in fact we could be fostering genuine relationships and a healthy work environment that’s not based on fear and anxiety but respect, joy and sense of purpose? But just as you get to the heart of the matter someone says ‘Let’s hold a meeting’. Don’t get me wrong, I don’t mind a good meeting, if it doesn’t go too long and there are agreed outcomes, however I’ve noticed that to perpetuate the illusion of busy, people hold meetings just for the sake of them. ‘No, just order more staples’. Being busy doesn’t mean being more productive, it’s an illusion, don’t fall for it. I can either perpetuate the busy illusion or tear it down by being more comfortable and genuine in my work. Why should I worry about what others think, when I know I’m doing a good job? It’s working from that soft, genuine spot inside myself that doesn’t need to prove anything to anyone, doesn’t need to impress people or is fearful of outcomes. 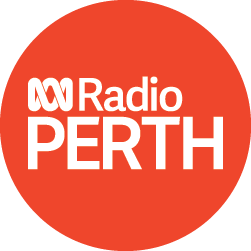 When I tune into that aspect, I don’t need to hurry down the corridor brandishing a pen and notepad and when someone asks me how I’m going, I can reply with ‘Yeah, good thanks, really good’. Then other people may feel comfortable coming out of the ‘I’m so busy’ closet too. What is your workplace like? Have you experienced this ‘busyness’ and is there something you do to counteract it? If you want cause some friendly civil disobedience at work, you could always walk the corridors brandishing the Frog and the Well ‘Be Less Busy’ coffee cup. Learning to be true to yourself takes bravery and it may seem you are up against all of society’s expectations and delusions, but when it comes to your own personal sanity and happiness, you have to think about what is really important. 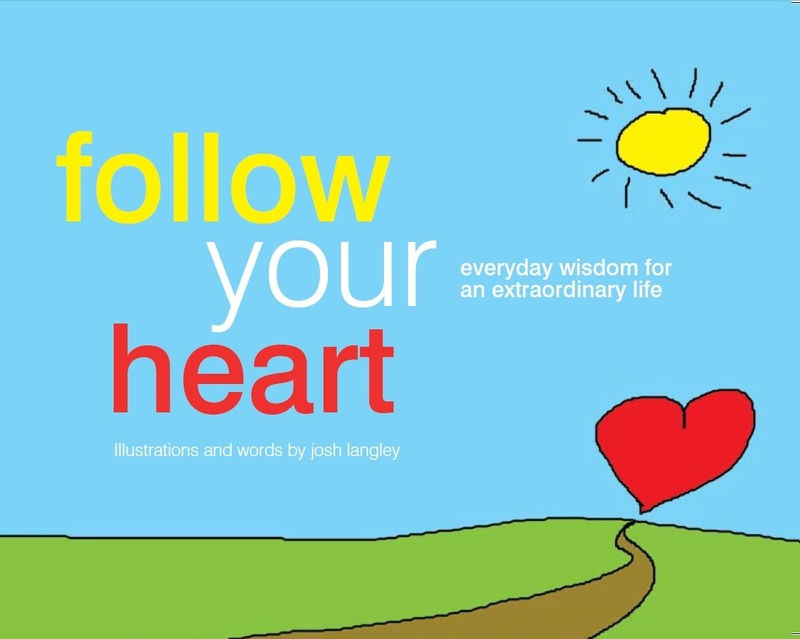 My book Follow Your Heart – Everyday wisdom for an extraordinary life, is a message I wrote for myself that I use to remind me of what I really want and need. It might help you too. Post script: Well my prophesy came half true, I chose to no longer work for that employer and now I run my own advertising business where I can work at my own pace which also gives me time to work on my books, illustrations and finger painting sessions. My boss used to say that executives who worked overtime and were stressed were not effective. It shouldn't take endless hours of work to be really effective. If you are effective and successful you will go home on time and have healthy long holidays.